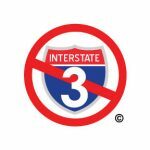 The Georgia Chapter of the Sierra Club and the Stop I-3 Coalition (now renamed WaysSouth) are holding a public meeting, 7-9 p.m., Wednesday, May 25, at the United Community Bank building on Morrison Moore Parkway in Dahlonega, Georgia, to discuss the ongoing federal consultant studies of a proposed new major highway from Savannah to Knoxville. Interstate design is under consideration. The possible route currently preferred by the federal highway consultants would create something of a new Northern Arc through Dahlonega and from there through the Ellijay area before stretching to Knoxville. Alternative routes were also studied but deemed less feasible. These included the addition of a major highway that would follow the U.S. 441 corridor through Rabun County, Georgia and Macon County, North Carolina. Click here for more information about WaysSouth and the highway study: http://www.wayssouth.org/campaigns/stop-i-3/resources/.